Debt Scolds: Pay No Attention to the Falling Deficit! Congressional Republicans are not charging that the administration did anything illegal. They are merely claiming that it was “inappropriate.” Perhaps it would be inappropriate for the administration to completely outsource its decision-making process to an advocacy group, but they are not charging that this took place. 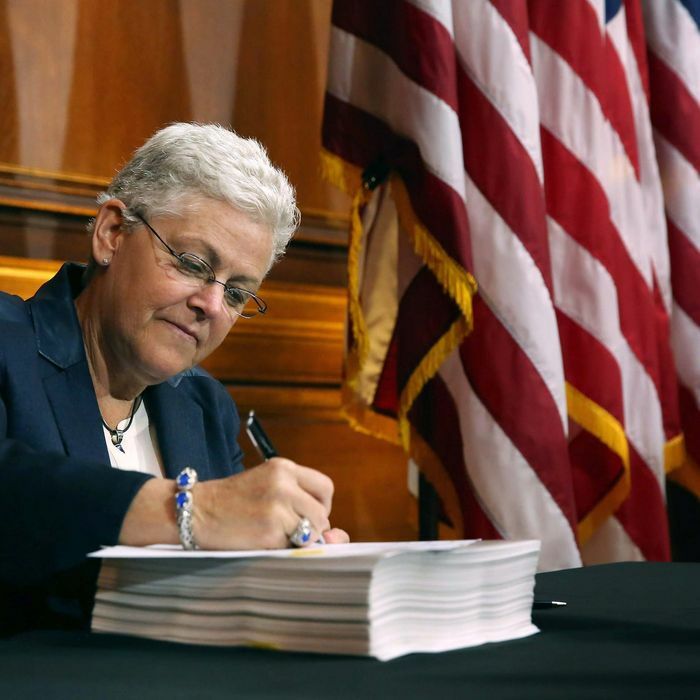 The administration’s proposal resembles but is far from identical to the NRDC’s plan. The accusation — “far cozier” — merely charges that the administration worked more closely with the NRDC than with, say, lobbyists for oil and coal. That is true, and the mere fact that it has become the subject of controversy exposes an import underlying fact about modern American politics. The Obama administration solicited feedback from industry as well as from environmental experts, and crafted a compromise plan designed to meet the administration’s emissions goals at the lowest possible cost while carrying out its legal mandate to regulate carbon. Environmentalists would not say anything like this about the Bush administration or Republicans in Congress. This is one of the most important asymmetries in modern American politics. Within the Republican Party, it has come to seem normal for environmental regulations to be crafted entirely along the lines demanded by business lobbyists. The existence of a significant lobbying role for environmentalists — even the moderate, well-respected ones at the NRDC — seems to them scandalous.